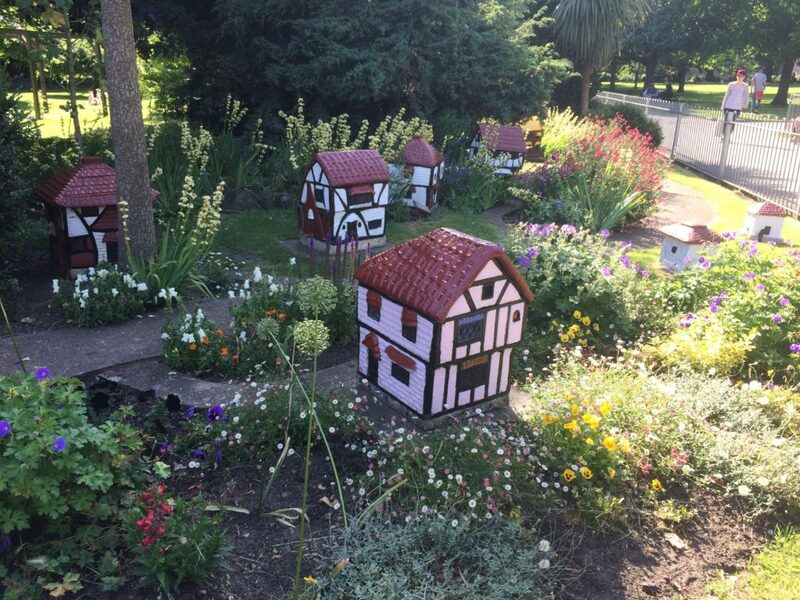 The model village is the much-loved central focus of Vauxhall Park. The flowers surrounding it were planted and maintained by Friends of Vauxhall Park’s volunteer gardeners. The model village itself, built in the 1940’s by Edger Wilson is lovingly maintained. Local resident Nobby Clark recently repainted the houses, restoring a ‘thatched’ roof. Suffolk Pink highlights many of the buildings.